Sune and his family discovers an old painting that could be worth a fortune. There's only one problem, it lacks a signature. Follow the Anderssons in a wacky roadtrip through Europe, filled with crazy fun. 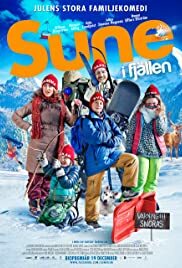 The residents of Saltkråkan gets new problems when Malin and Peter get their first child - Skrållan. There are only a handful of children living in Bullerbyn. This film follows their story through the fall and winter, picking up at the moment "The Children of Noisy Village" finishes.